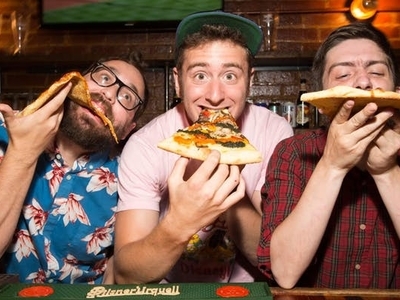 Ambush Comedy is Brooklyn's hottest comedy show in the back of a pizza shop! Get your year started off right as Two Boots in Williamsburg, hosts Lucas Connolly, Sherm Jacobs, and David Piccolomini present stacked lineups of top comics from NYC and beyond. Show up between 8:00-8:30 to get a free beer, grab a slice, and enjoy the show!